Blogging on a rainy Sunday – it feels so familiar and so right. I’m thrilled to be creating, photographing, and writing again. I’d been stuck in a food blog rut, lacking even a drop of inspiration, and feeling pretty burnt out. But these past couple of months have been such happy ones, filled with both peace and excitement. 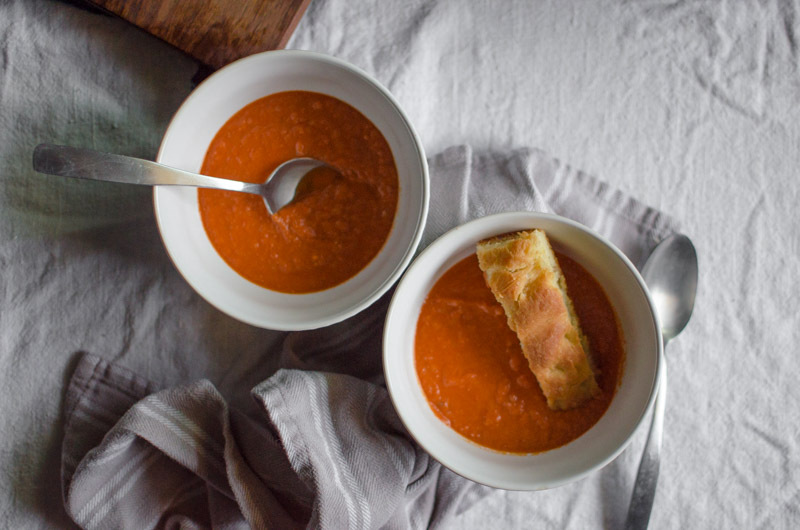 When my food blog muse returned from vacation, this bisque appeared in my mind. I had tried (and loved) something similar to it at the cafe near work; I wanted to play with the flavors at home. Fennel bulbs, underrated as vegetables go, have a fantastic licorice flavor, and they’re especially good sauteed (then blended in soup of course). 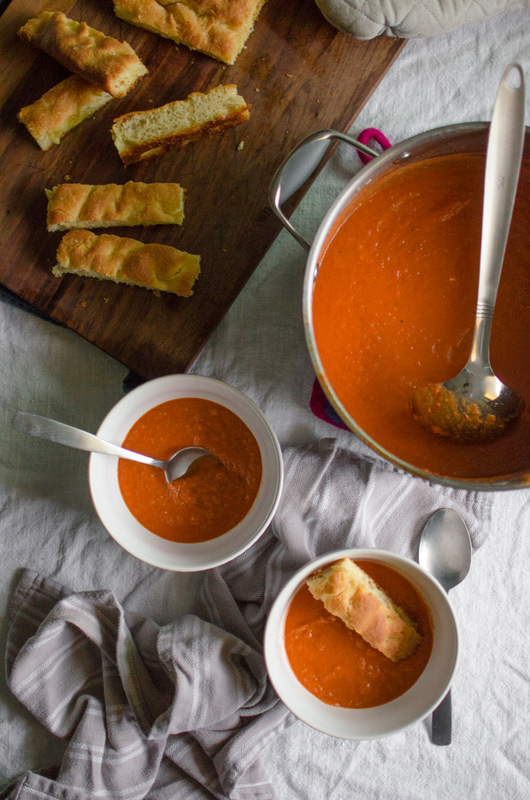 This tomato soup is not your average joe by any means. 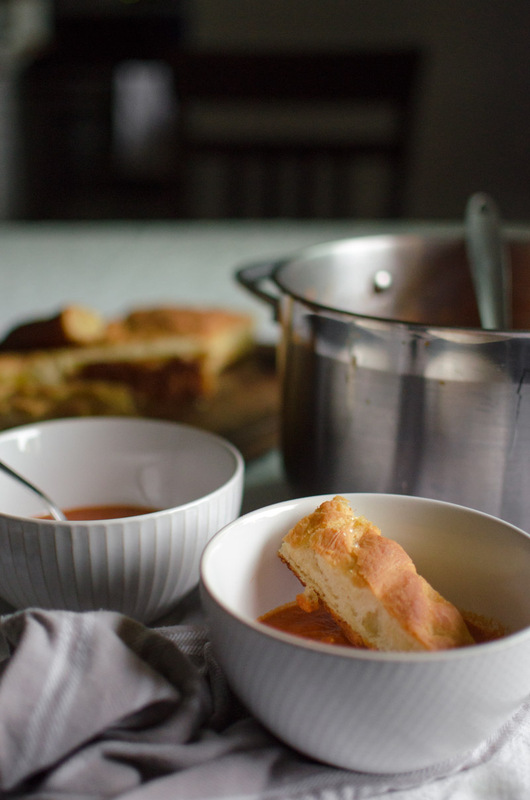 It’s intense, rich, and has a ton of flavor, and it’s so nice to have on a chilly, rainy day at home. 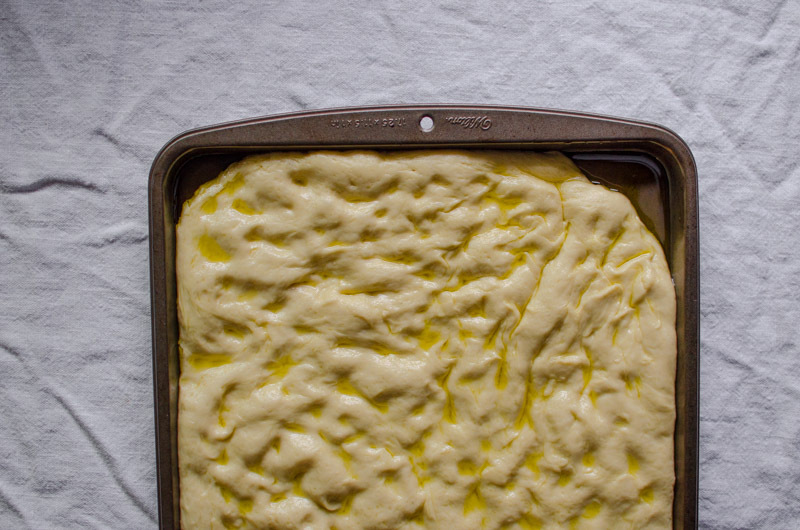 I highly recommend whipping up Anne Burrell’s foccacia bread to serve with the soup – they were meant for each other! 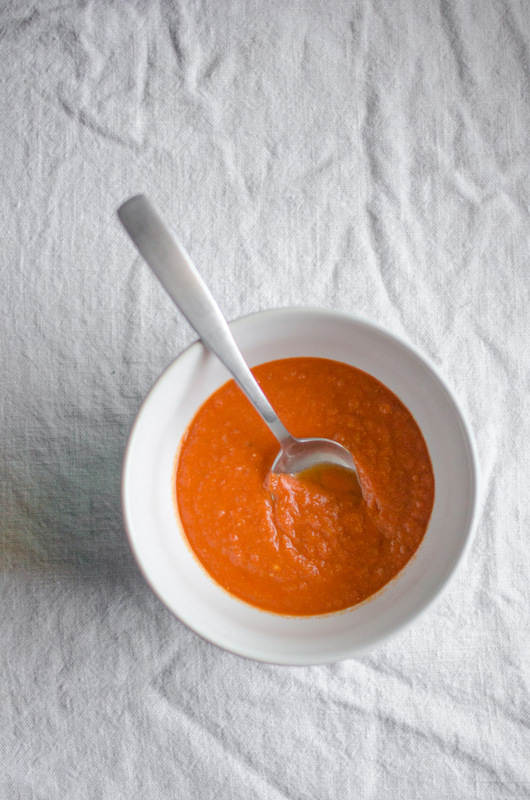 Inspired by Specialty's tomato fennel bisque, and adapted from the NYT's Tomato Bisque With Fresh Goat Cheese. Heat oil in a large pot or dutch oven over medium-high heat. Add garlic and cook for about 30 seconds, stirring constantly. 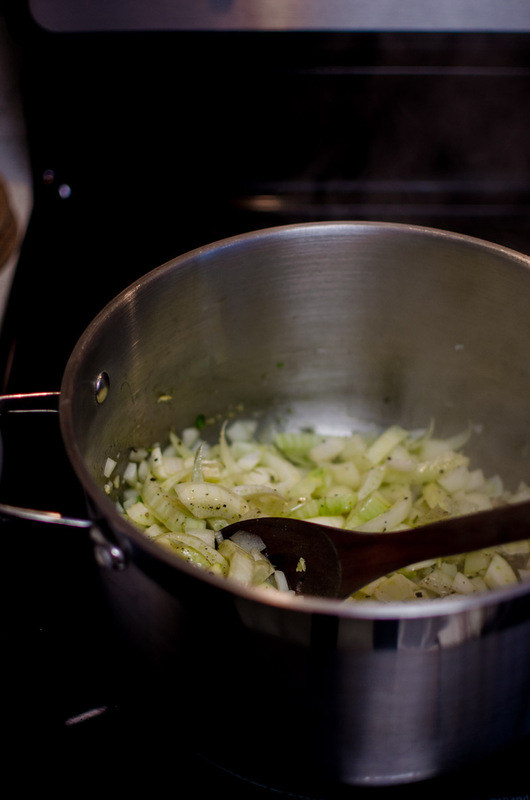 Add the onion and fennel, and continue cooking until soft and translucent, about 5 minutes. Add tomatoes, sugar, salt, and 1 cup water. Reduce heat to medium-low, cover, and simmer for 30 minutes. 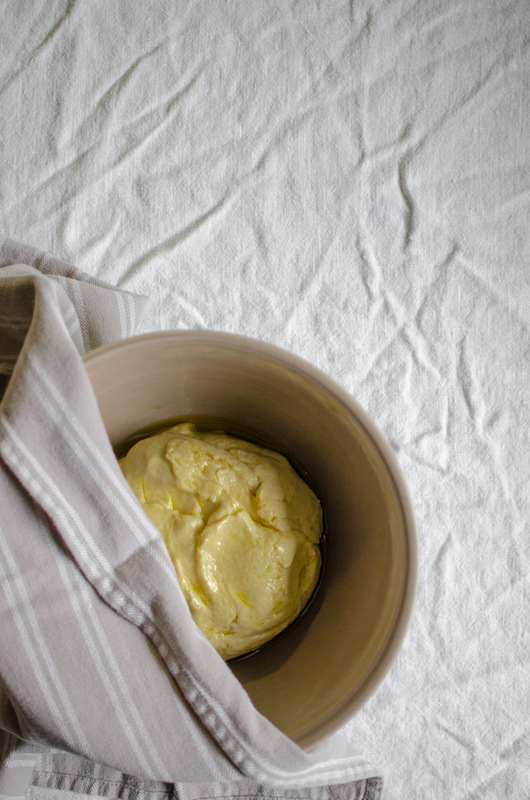 Purée the soup in a blender or with an immersion blender until smooth. Reheat the soup in the pot over medium heat, then add goat cheese. Stir constantly until the cheese melts into the soup. Season with crushed red pepper flakes (option) and more salt and pepper to taste, then serve. 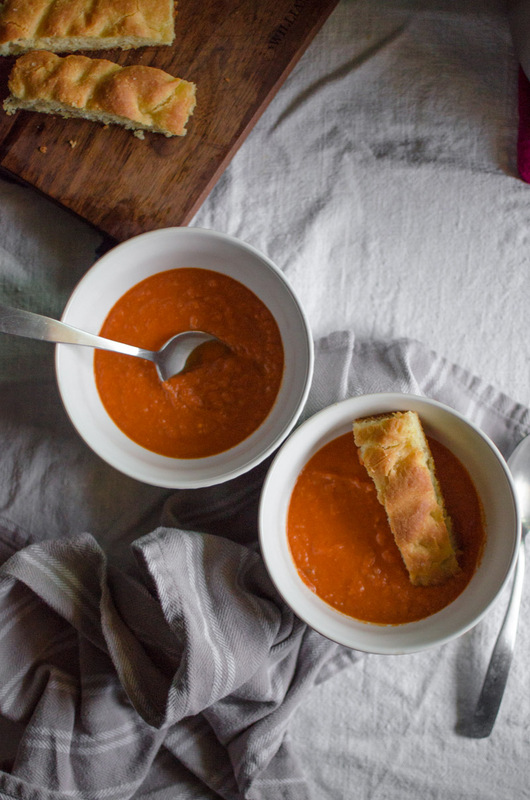 This entry was posted in Soups and tagged bisque, fennel, goat cheese, tomato.